Scots are a pragmatic people. Sometimes. For the most part. 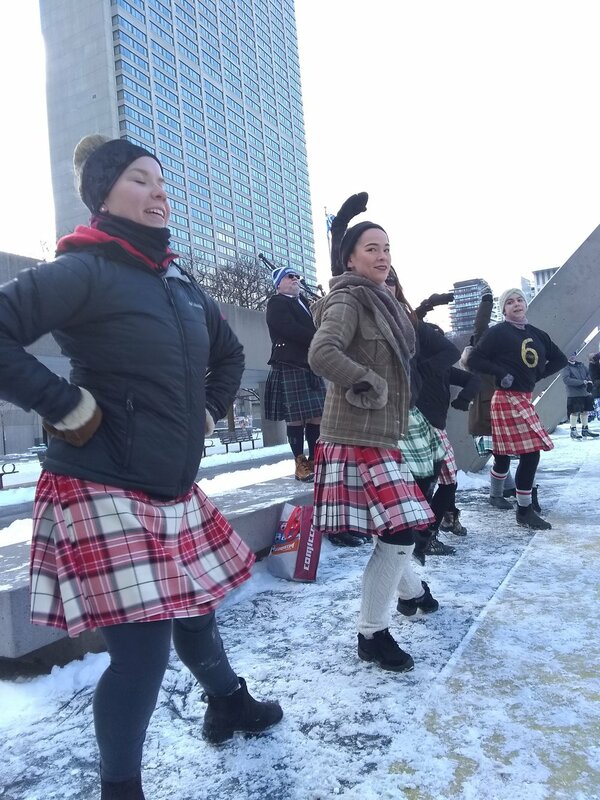 Scottish women, in particular, are sensible enough to wear their leggings under their kilts. But not all the women. In fact, many are thrawn enough to bare their knees to subarctic temperatures. Are they going “regimental"? No one is saying. 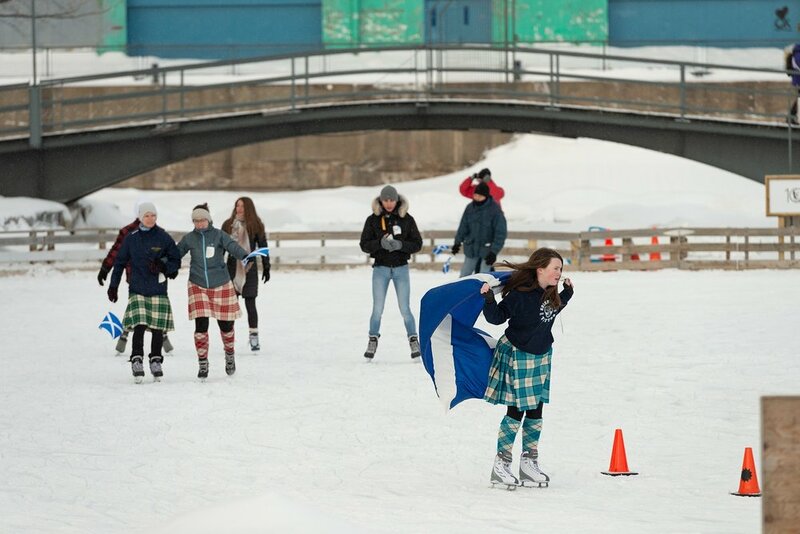 In spite of the cold, the pipers played and the dancers danced. 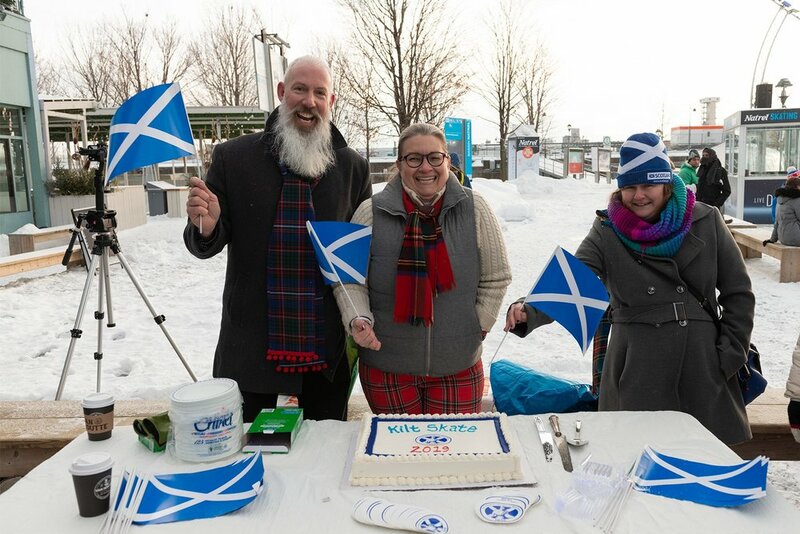 There was cake, shortbread and hot chocolate for everyone. A plendid time was had by all.